Bradley Cooper is coming to Broadway—and not just to take in a Sunday matinee of Wicked. 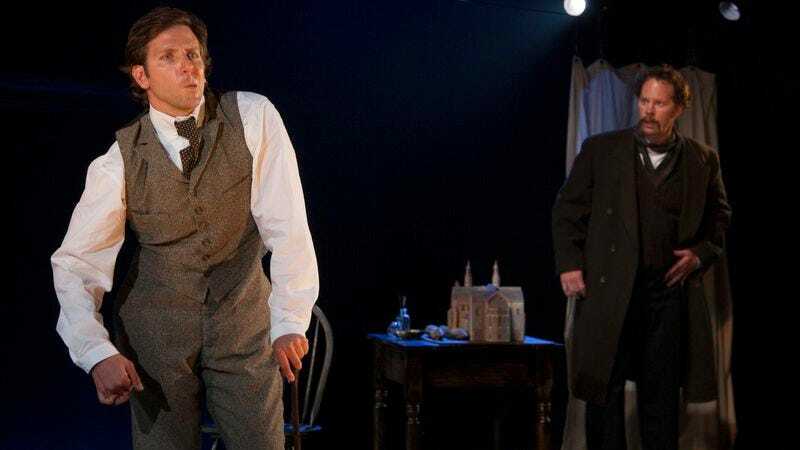 According to Entertainment Weekly, the American Hustle actor is set to star in a Broadway revival of The Elephant Man as John Merrick, the real-life Victorian figure at the heart of Bernard Pomerance’s play. Cooper has already tackled the role—which was made famous by John Hurt in David Lynch’s 1980 film version—at the Williamstown Theatre Festival in 2012. While the movie used makeup and prosthetics to transform Hurt, the play relies on the actors’ physicality to suggest Merrick’s abnormalities, just as Cooper did at Williamstown. Cooper has previously appeared on Broadway alongside Julia Roberts and Paul Rudd in the 2006 revival of Three Days Of Rain, and he’s part of an eclectic group of actors who have portrayed Merrick onstage— including David Bowie, Mark Hamill, and most recently Billy Crudup, in the 2002 Broadway revival. And while there’s an easy punchline here about People’s former Sexiest Man Alive playing the Elephant Man, this is clearly a passion project for Cooper who has had a longtime connection to the role. In fact, he performed a 30-minute adaptation as part of his senior thesis, and in his 2010 Inside The Actors Studio interview below, Cooper credits Lynch's adaptation with inspiring his love of film.